We are Ivan Zappetti and Genny Godano, a couple of professional dancers, judges and federal technicians F.I.D.S. (Federazione italiana Danza Sportiva). We are world champions of salsa and bachata in 3 different continents: Europe, Asia and Australia. In recent years, we have specialized in the production of show dance with the aid of lasers and highly technological scenographies. We danced on the stages of the most prestigious dance congresses in the world (Korea, Brisbane, Miami, Puerto Rico, Las Vegas, St. Petersburg) and important television broadcasts, including Georgia's Got Talent 2017 (conquering the semi-final). 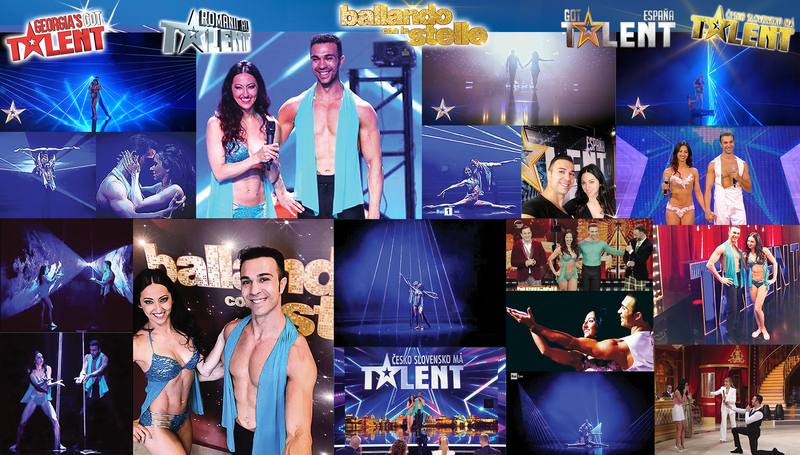 We were also guests of the final episode of Ballando Con Le Stelle and we will soon participate in Slovakia's Got Talent.